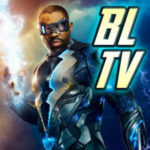 This morning following the Arrow Q&A at the Television Critics Association press tour, GreenArrowTV’s Craig Byrne was able to speak with series executive producers Marc Guggenheim and Andrew Kreisberg about what to expect from the show. The full interview as well as GATV’s interviews with Katie Cassidy and Stephen Amell will be posted in the coming days… but because it’s fun to get as much Arrow info as we can, some of that is coming tonight. 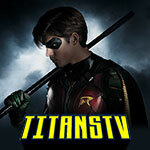 As such, here are two bits of information to chew on, first on the look of Deadshot (revealed today to be played by Michael Rowe) and then answering the question many have had since Arrow was announced – is there a chance of Smallville’s Green Arrow, Justin Hartley, appearing on the show? 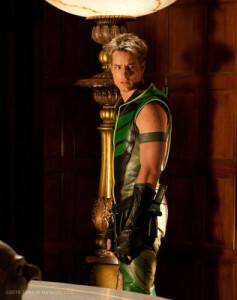 And on a Smallville note… many have wondered, and we just had to ask: Might we ever see Justin Hartley on Arrow? Come talk Arrow on the KSiteTV Forum and stay tuned for more from the producers and the series leads in the next few days!